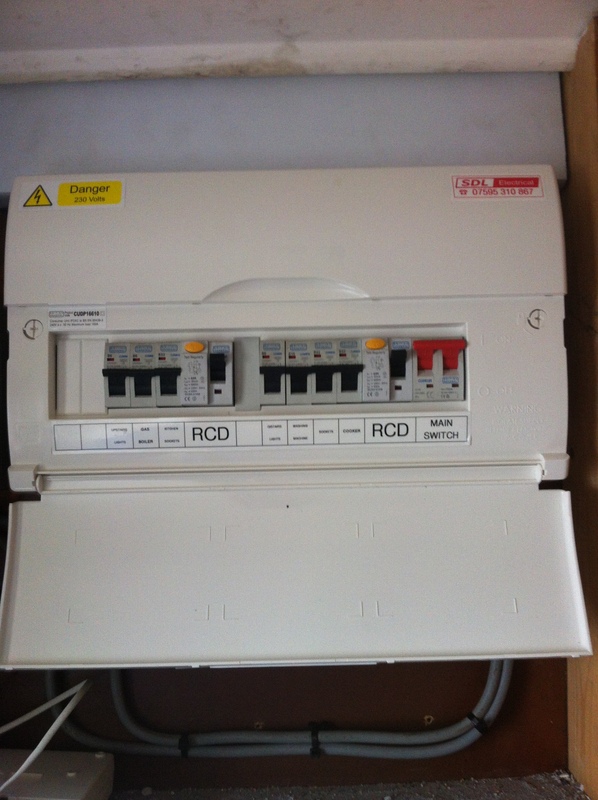 SDL Electrical can provide customers with a new modern Consumer Unit (commonly called a Fusebox). A new Consumer Unit offers improved safety with modern MCB’s much more reliable than old rewirable fuses. 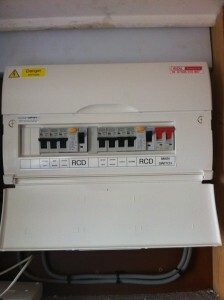 A modern consumer unit also has 2 RCD’s (often called trips) which help reduce inconvenience in the event of a fault in the property – as many circuits will remain unaffected. 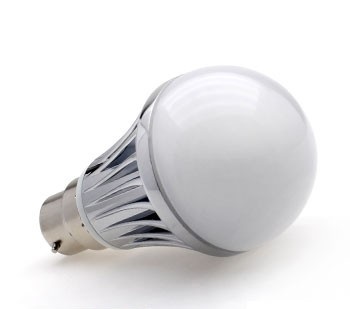 Another big advantage of a modern Consumer Unit is that you won’t be left stuck in the dark trying to find a fuse or fuse wire should a lightbulb have blown. 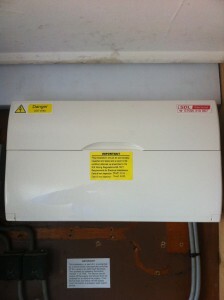 SDL Electrical have the experience and expertise to install your new Consumer Unit. All work comes complete with an Electrical Installation Certificate to cover the work, and all circuits in the property will require testing. 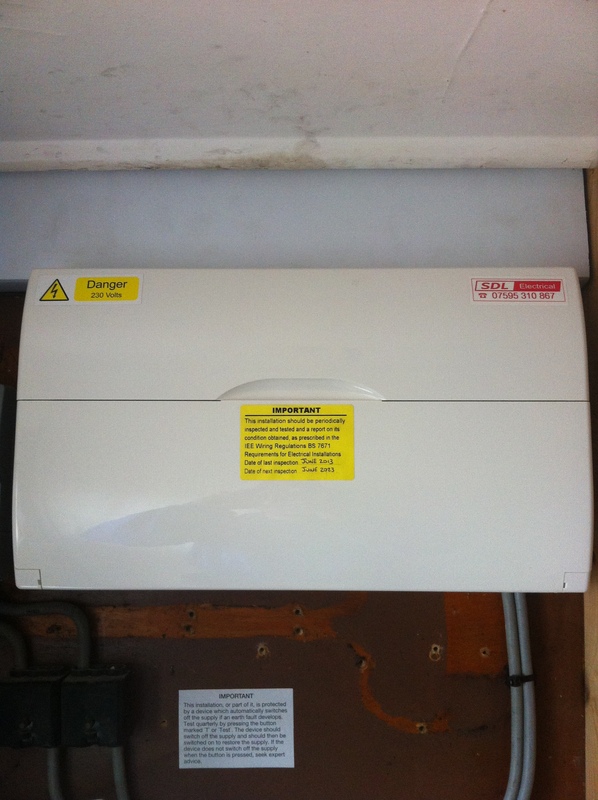 This gives you complete peace of mind that after you have had a Consumer Unit replacement that the electrics in your property are all safe and up to standard. 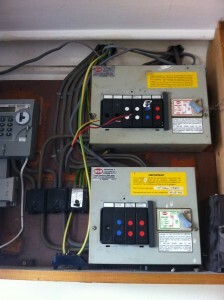 SDL Electrical offer a comprehensive electrical service from an electrician in the Larne area. 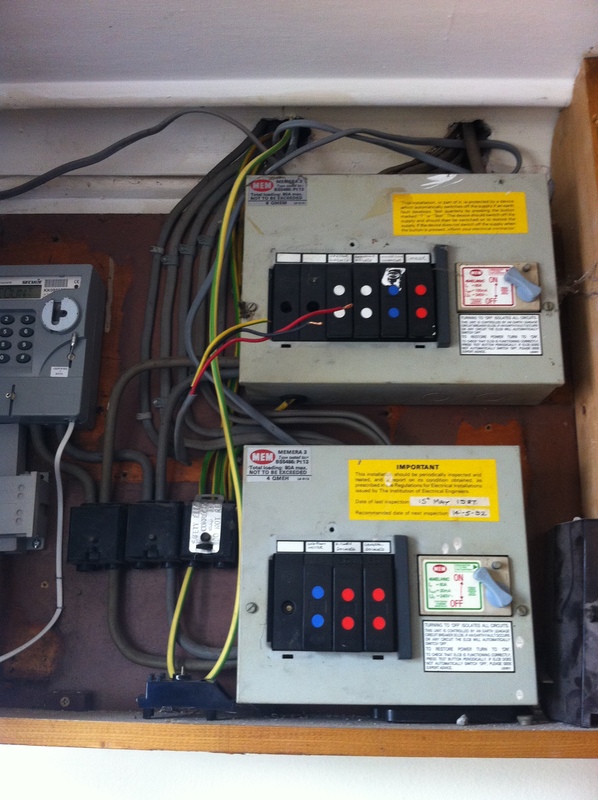 We are able to provide fully qualified and insured electricians no matter how big or small the job. 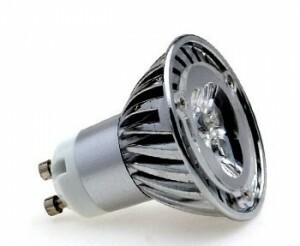 At SDL Electrical we pride ourselves on our professional service and being able to meet the clients requirements. From replacing a socket or light fitting in home to rewiring the office we have the resources and knowledge to complete the job to your requirements. SDL Electrical covers all of the Larne area, including Islandmagee, Ballygally, Glenarm and Carnlough. If you require an electrician in the Larne area give SDL Electrical a call.